As I have been observing nature during my visits to the wildlife preserve, I’ve developed increased curiosity about the personalities and behavioral patterns of the various creatures I meet there. 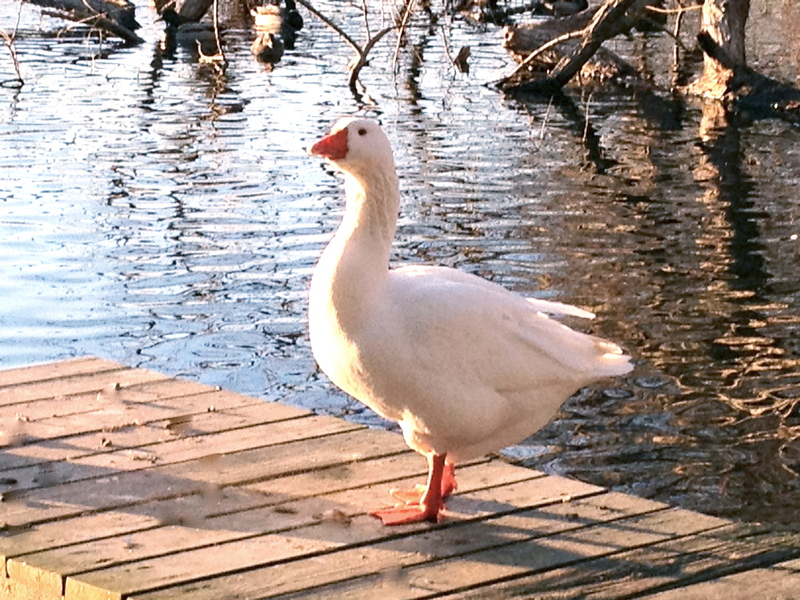 This elegant looking goose in my photo was waiting for me late Friday afternoon when I arrived for my walk. It seemed to me as though he was posing for an important photo shoot, sitting proudly and perfectly still on the dock. The rippling lake served as a dramatic backdrop. Of course I took my pictures, and not knowing very much about wild geese as a species, went home to do some research after my walk. The wild goose by nature is untamable and unpredictable. 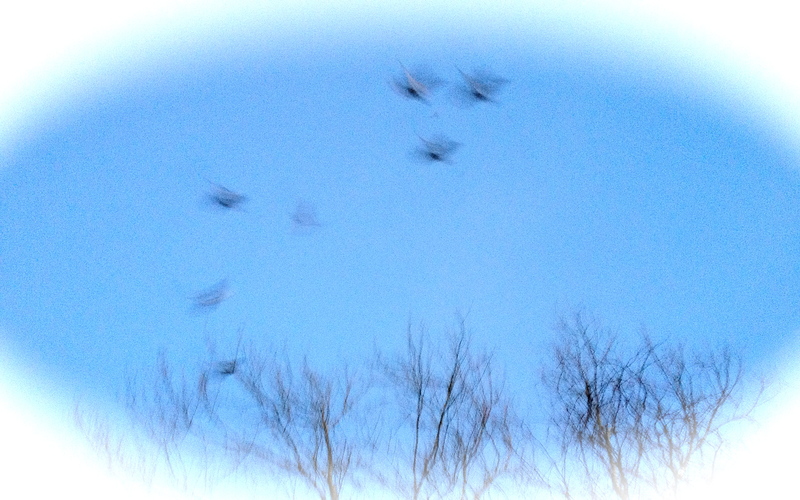 It is interesting that geese in a group can fly much faster and farther than they do individually. I wondered if this meant they are competitive or, perhaps, just energized by the power of a supportive team. I contemplated how humans too sometimes thrive when surrounded by others who make them feel like there is nothing they can’t accomplish together! On the downside, wild geese are regarded as disturbing nuisances by some, creating noise at moments that are often inconvenient. At the same time, they convey a sense of foolishness and whimsy many find entertaining. While their gait is awkward…in flight the wild goose displays grace and beauty. I thought my photo-subject expressed lots of grace and dignity while posing for me that afternoon. I also found it fascinating that the wild goose symbolizes the holy spirit for the Celtic Peoples of Ireland and Scotland. A dynamic creature with lots of inconsistencies…but isn’t that a true description of so many we encounter every day on this wonderful planet. You might enjoy this link. BTW, is this a wild goose? I had assumed white ones were domestic…but now I’m not so sure. Loved that video sooooo much.Thank you Mindy! Hmmmm? Now I do wonder… will wait till our experts in feathered creatures chimes in! It turns out the goose I took the shot of was left by an unknown party at the wildlife preserve just last week. He is not wild… But domestic and extremely friendly. He likes to be held and pet! 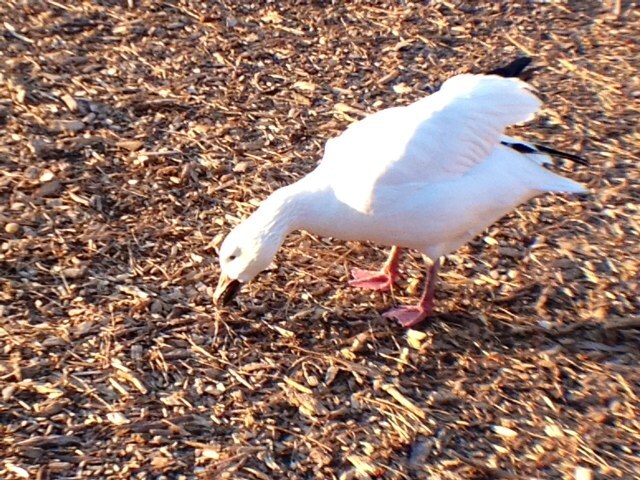 They have wild geese there as well, one that looks similar called a snow geese.